ConceptDraw DIAGRAM diagramming and vector drawing software extended with Concept Maps Solution from the "Diagrams" Area is a powerful Concept Map Maker. 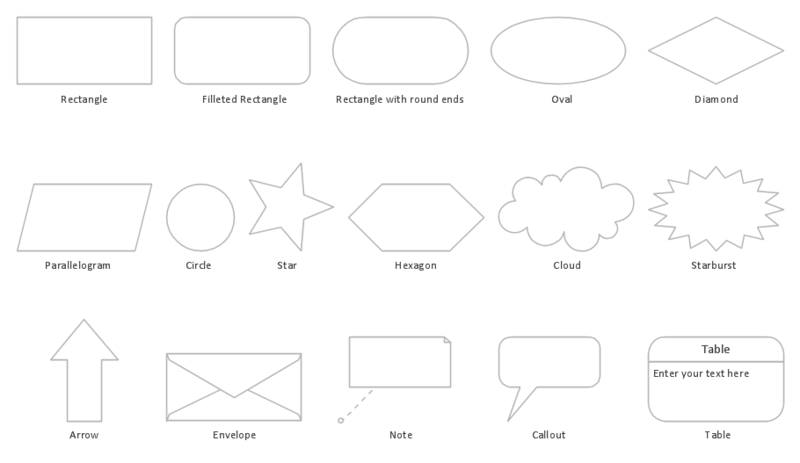 The extensive drawing tools, variety of predesigned templates and samples available for viewing and editing, the Concept Maps library with large quantity of ready-to-use vector objects - all this diversity of useful tools is provided by our Concept Maps Solution. 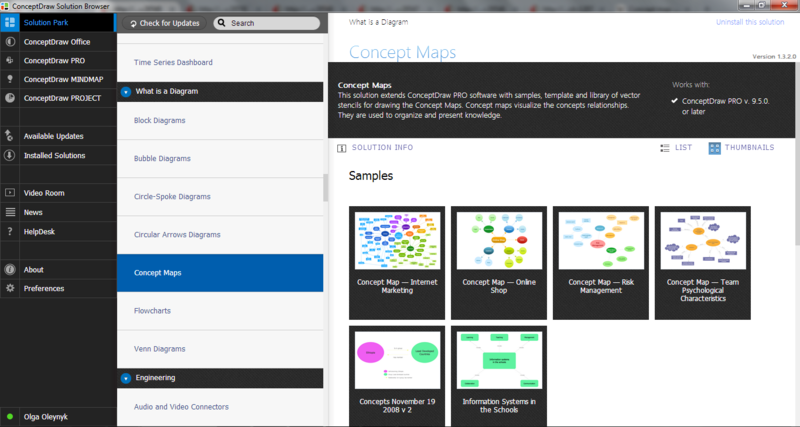 The Concept Maps Solution for ConceptDraw DIAGRAM software is that Concept Map Maker which you have been looking. It is the best for professional concept mapping, now you can achieve great progress in a short time! How to make a Concept Map fast and easy? ConceptDraw DIAGRAM v12 diagramming and vector drawing software extended with Concept Maps Solution from the "What is a Diagram" Area is the best choice for those who want design professional looking Concept Map in minutes. The Bubble Map is a popular tool for visualization a data set which is widely used in economics, medicine, software engineering, architecture, and many other fields. Each bubble on the Bubble Map is characterized by coordinates, color and size. 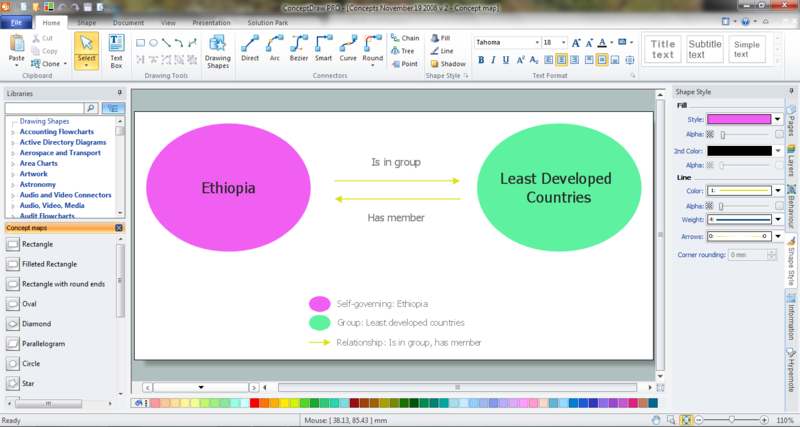 ConceptDraw DIAGRAM v12 diagramming and vector drawing software extended with Bubble Diagrams Solution from the "What is a Diagram" Area is a powerful Bubble Map Maker. ConceptDraw DIAGRAM v12 diagramming and vector drawing software extended with Concept Maps Solution from the "What is a Diagram" Area is a powerful Concept Map Maker. What is a Concept Map and what software is effective for its design? A concept map or conceptual diagram is a diagram that depicts suggested relationships between concepts. As for effective software - we suggest you to pay attention for the ConceptDraw DIAGRAM v12 diagramming and vector drawing software. Extended with Concept Maps Solution from the "What is a Diagram" Area it is a real godsend for you. Being usually a very complex process that requires a lot of skills, patience, time, and artistic abilities, the concept mapping process now is incredibly easy thanks to the Concept Maps Solution from the "What is a Diagram" Area of ConceptDraw Solution Park.